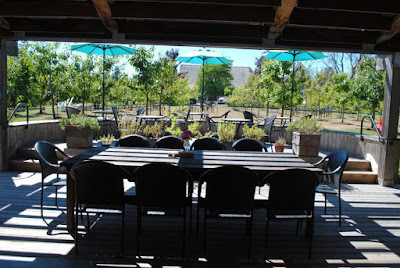 De Vine Vineyards is the place to visit if you want to try wines that are different than all the rest. High on top of a hill, overlooking the Saanich Penninsula, with an astounding view of Mt. Baker, this vineyard, and the people who work there, are sure to delight. We were given the VIP treatment when we arrived. (And it wasn’t because we are celebrities, by far. It was because that’s how everyone is treated at De Vine). They are personable, and down-to-earth, and absolutely ridiculously knowledgeable in a humble sort of way. (I might add, the earlier you get there, the more time you’ll get to hear about their phenomenal winemaker, Ken Winchester, and the incredibly different wines he makes. According to Brad Scissons, the vineyards Brand Ambassador, Ken is an amazing savant when it comes to making wine. He thinks deeply about the grapes, their maturity and how to bring our their uniqueness in the De Vine wines. But when it comes to the winemaker’s favorites, Brad shares Ken’s thoughts as, “His wines are like his kids, he (Ken) says he loves them all equally, but some are going to be really cool adults.” We agreed. This 50/50 blend reminds everyone of how we all taste things differently, and that’s okay. This editor tasted toasty graham cracker notes, but like no graham cracker and milk after school snack she’s ever had before! Crisp, cool, and unique. Yes, that does say “rosé.” Winemaker, Ken, decided that the sugar production in these grapes was not enough to build a big red, so he made a rosé that is zippy, zingy and definitely abundant with strawberry overtones. This wine is travelling back in our suitcase. As Brad explains, it’s a “Cold climate red grape that doesn’t strip your palate.” It doesn’t have heavy tannins but you get a punch of flavor from beginning to mid and then it sort of chills out at the end. That’s because Ken ferments this wine with the skins at first. Then about halfway through the fermentation process he pulls the skins off. Fruit forward, soft tannins, HELLO tastebuds!!! We seriously got so much insider information on this winery, we could write a book! Brad shares, “We are a small batch winery. None of our wines are over $24 (Canadian), because we don’t believe people should pay through the nose for them.” Oh, and did we mention they also distill spirits there! Best Gin and Tonic ever ( and this editor does not like Gin…nor tonic, for that matter)! Again, we could write a book on this place, but better yet, go visit them! You’ll be treated like part of their wine family. PS: Enjoy the view while you’re there! What was supposed to be a quick stop, ended up being a long, lazy afternoon visiting with locals at the Church & State winery. 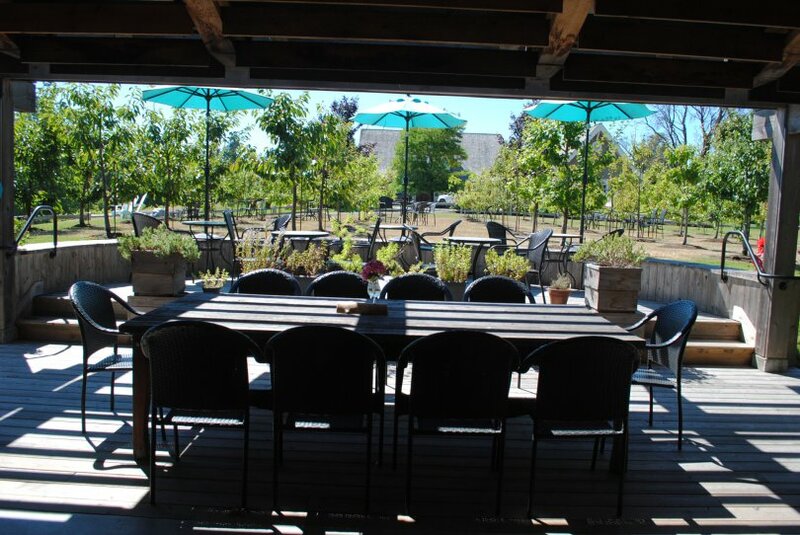 Set up as a sit-down bar, this winery has more of a restaurant feel than a down-home family winery, but the wines are super incredible! This wine hits you with incredible aromatics, and the taste does not disappoint! A blend of Viognier, Gewurztraminer, Chardonnay, Riesling and Sauvignon Blanc, it’s a white wine lover’s dream blend! This smoky rosé is not your mama’s summer rosé by the pool. Made from Cabernet Franc grapes, is goes FANTASTIC with salmon. Bold aromatics, with hickory and OOH BABY smoky bacon notes have you begging for more! More of a tip than a scoop, this winery is right between De Vine Vineyards and the Butchart Gardens. We recommend making this part of a combination outing to all three!